You need a unique website that engages your visitors and supports your online marketing goals. That’s where we come in! The Technology Squad is a professional Web Design & Development Company offering website solutions to small business and to big corporate houses. As the real index of the mind is FACE, the true index of any company is its WEBSITE. It is essential to have a pleasing and appealing website to reflect a company in its true sense. The theme of a website follows to conquer the online world which is very important for its online business growth and popularity. Website Designing is the major focus of any online company or offline business company to flourish in the market. The Technology Squad has a wide pool of designers who are highly talented, creative and technology driven minds creating aesthetic website designs for various clients across the globe. 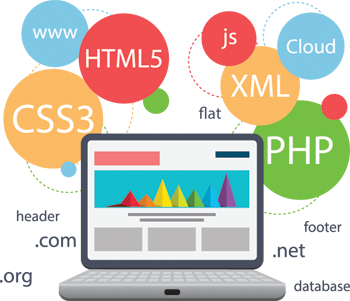 We have a team of expert web developers who have years of experience to provide you with the best solutions in website development. We will help you to enhance your business in a highly significant way. If you need a logo for your brand, please check out the gig below.